The best method to recharge a lead-acid battery is a multi-stage (typically three-stage) charging process. Regardless of the charging source—grid (AC) connection, solar panel, or even an automotive alternator—this method takes three parameters (current, voltage, and time) and sequentially applies each one at specific rates and durations. During bulk charging, the charging device applies a constant current charge, raising the cell voltage to a preset level. The charge rate depends on the difference between the charging voltage and the battery voltage. This first stage of charging keeps the voltage difference between the charger and battery constant so that as the battery voltage rises, the charging voltage rises and the charging current remains constant. This stage typically takes the battery to about three-quarters charged, and at a rate that usually does not exceed 25% of the battery’s amp hour capacity. In the acceptance (or absorption) stage, the charge current is gradually reduced as the cell becomes saturated. Charging current is reduced to about half of the bulk charge rate. Since battery charging is an electrochemical process that has a very long reaction time (particularly in the case of deep-cycle batteries), the charging voltage in this stage is reduced for a few hours to enable the charge that is now concentrated in and around the plates to become homogeneously distributed through the entire battery. The acceptance stage is typically maintained for several hours. The final stage is the float charge, which compensates for the self-discharge of the battery. Following the acceptance stage, the charging voltage drops further to a level that eventually counterbalances the battery’s internal losses. Depending on ambient temperature and battery type , float charge will usually be between 13.2 V and 13.3 V (VRLA batteries) or 13.6 V to 13.8 V (flooded-cell batteries). Batteries can usually be left in float stage indefinitely. 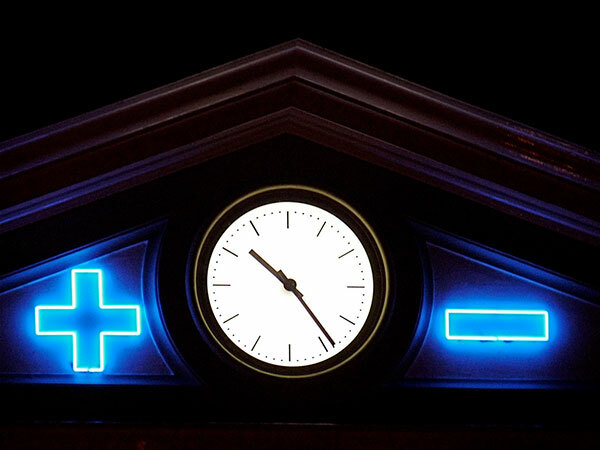 During the float stage, a battery will typically be 95 to 97% charged. Flooded-cell and VRLA batteries are typically charged to between 2.26 V and 2.36 V. At 2.37 V, most lead-acid batteries start to gas, causing loss of electrolyte and increased temperatures. The exceptions are small sealed lead-acid batteries (SLA), which can be charged to 2.50 V per cell without any adverse side effects. Large VRLA batteries are often charged with a float-charge current to 2.25 V per cell. A full charge may take several days. Note that the current in float-charge mode gradually increases as the battery ages. The typical reasons for this are electrical cell leakages and a reduction in the battery’s chemical efficiency. An external load can be connected to a lead-acid battery while in float-charge mode. In such a case, the battery acts as a buffer. The Solar Stik System works in just this way. During off-peak periods, the batteries get fully charged. During peak power demand, the load exceeds the net supply provided by the solar array and the battery makes up the difference, providing extra energy. 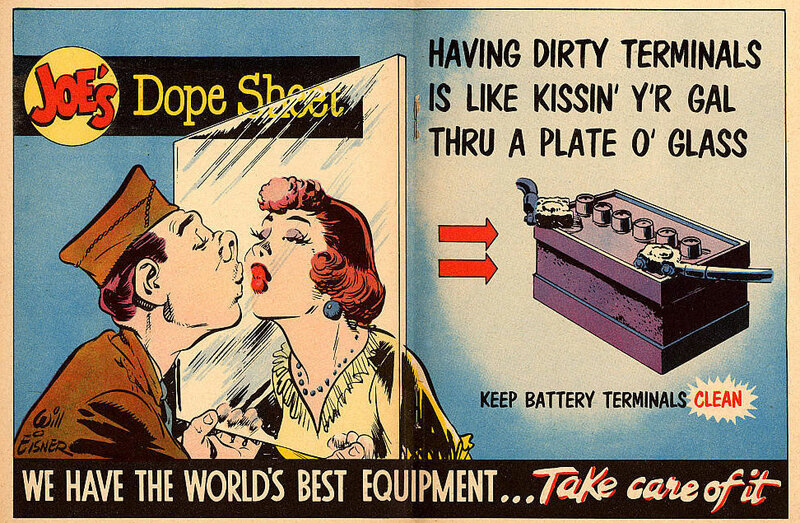 A car battery works in a similar way. When configuring a battery as a buffer, make certain that the battery has the opportunity to charge fully between loads. The net charge of the battery must be greater than what the load draws from the battery. Aging affects each battery cell differently. Since the cells are connected in series, it is virtually impossible to control the individual cell voltages during charging. Even if the correct overall voltage is applied, a weak cell will generate its own voltage level and in turn affect the battery as a whole. 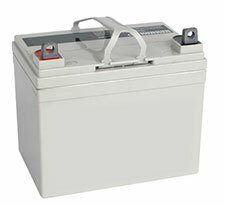 To slow the aging process, lead-acid batteries must always be stored in a charged state. Most garage and consumer (automotive) battery chargers are bulk charge only and have little, if any, voltage regulation. They are fine for a quick boost to low batteries but should not be left connected for long periods of time. Damage to the battery can occur when a battery is left connected to this type of charger for extended amounts of time. A voltage-regulated charge control is designed to supply constantly regulated voltage to batteries. If these are set to the correct voltages for the batteries, they will keep the batteries charged without damage. These are sometimes called taper chargers. These are regulators that go between a charging source, such as solar panels, and the storage batteries. 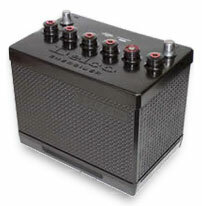 Solar charge controllers are designed to keep the batteries charged to peak voltage without overcharging. When recharging a lead-acid battery, you need to consider the battery’s voltage, maximum current, and the temperature of the battery’s environment. A lead-acid battery is charged by applying a voltage across its positive and negative terminals that is higher than the voltage it already has across them. The greater the difference between the applied voltage and the battery voltage, the greater the charging current that will flow into the battery and the quicker the battery will be charged. Individual lead-acid cells are wired in series to achieve a desired voltage (as in a 12 V battery). Correct settings of the voltage limits, or maximum voltage, for the individual cells is critical. In a lead-acid cell, the range is usually from 2.30 V to 2.45 V.
Setting the voltage limit is a compromise. On one hand, the battery needs to be fully charged to provide maximum capacity and to avoid sulfation on the negative plate. On the other hand, a continually oversaturated (overcharged) condition would cause corrosion on the positive plate. Oversaturation also promotes gassing, which results in venting and loss of electrolyte. The battery should not remain at peak voltage for too long; the maximum recommended time is 48 hours. All batteries have a maximum current at which they can be charged safely. High charging current means less time is necessary to complete the recharging process. However, charging at the maximum allowable, or higher current, can also shorten battery life. Cases of extreme overcurrent could result in a hazardous condition due to battery overheating and thermal runaway. To improve charge performance of lead-acid batteries at colder temperatures and to avoid thermal runaway during hot spells, controlling the charging voltage is important. Implementing temperature-compensated charging can prolong battery life by up to 15%. Higher temperatures require slightly lower charging voltage, while lower temperatures require slightly higher charging voltage. Three-stage chargers that have a battery temperature sensor are excellent for batteries that are exposed to large fluctuations in temperature. Different batteries, and especially different types of batteries, age at different rates. Like the links of a chain, the battery with the lowest capacity will determine the runtime. Do not use different types of batteries together in a bank. Battery voltage, or state of charge (SOC), of a lead-acid battery can be estimated by measuring the open (no load) battery terminal voltage using a digital voltmeter. Prior to measuring, the battery must have rested for 4 to 8 hours after charge or discharge and resided at a steady room temperature. With these conditions met, voltage measurements provide an amazingly accurate SOC for lead-acid batteries. 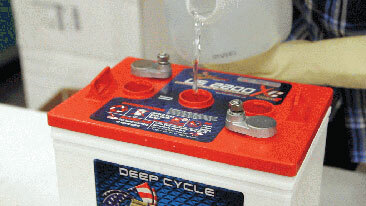 Specific gravity can be measured in wet-cell batteries with removable caps that provide access to the electrolyte. To measure specific gravity, you must use a tool called a temperature-compensating hydrometer, which can normally be purchased at an auto parts store or tool supply. 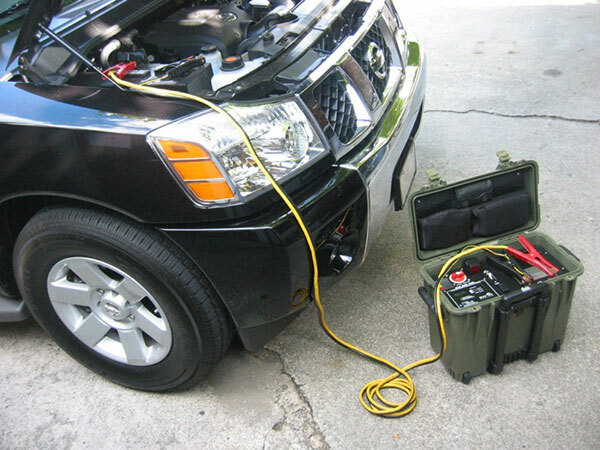 Load testing removes and measures the amps from a battery, similar to what happens when you start the engine of a car. Some battery companies label their battery with the amp load for testing. This number is usually about half of the CCA rating. 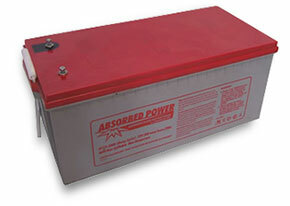 A battery rated at 500 CCA would therefore be load-tested at 250 amps for 15 seconds. 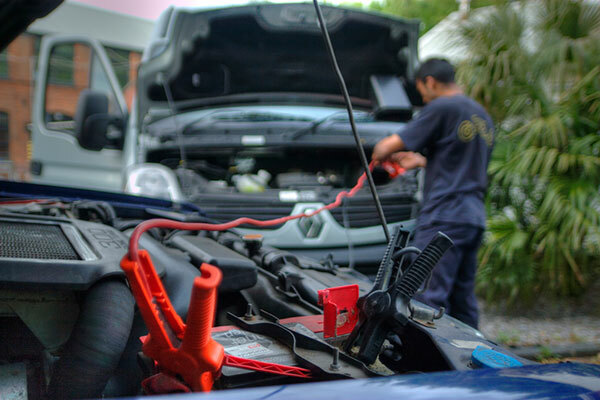 A load test can only be performed if the battery is at or near a full charge. 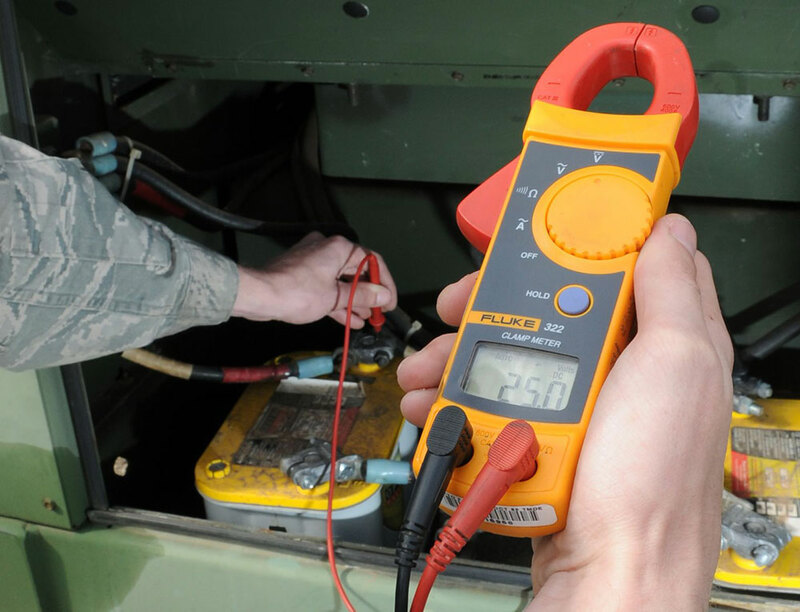 Some electronic load testers apply a 100-amp load for 10 seconds, and then display battery voltage. 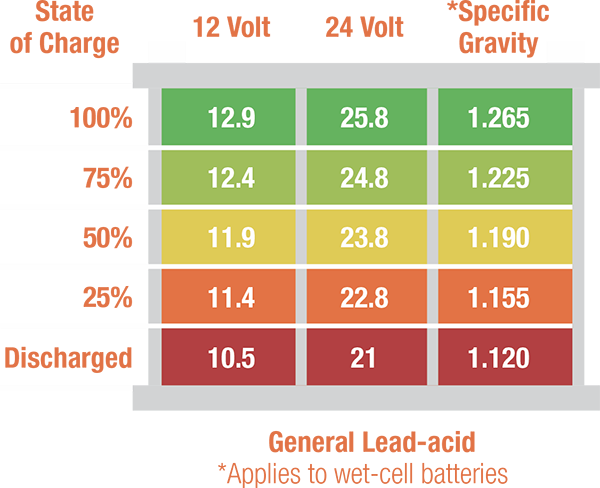 This number is then compared to a chart on the tester, which compares common load testing results to CCA ratings to determine battery condition.